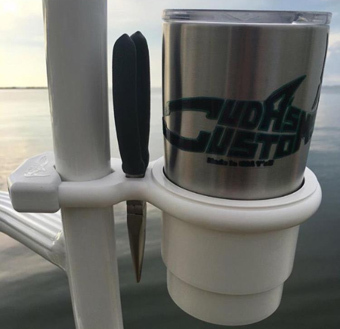 "Cuda's Customs" Quality Marine Products Made By Boaters For Boaters! All Products Designed and Manufactured by Cuda's Customs and Always Made in the USA Y'all. Hey Y’all, Welcome to Cuda’s Customs!!! 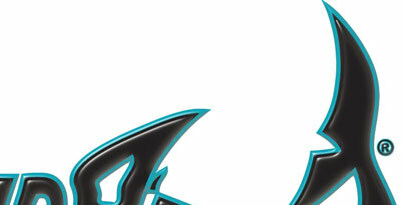 Cuda’s Customs is a family owned business, located on Florida’s Space Coast. We pride ourselves on giving you extraordinary products, exceptional customer service, and custom making each product especially for you. All of our products are made of high quality marine grade UV protected starboard and mounted with marine grade stainless steel hardware to ensure they last for years after installation. Cuda’s Customs clamp-ons are invented, made, and manufactured, exclusively by us, right here in the USA. Currently, we are specializing in new State-Of-The-Art “Patented” clamp-on holders that mount around your vertical, angled, and horizontal boat pipes. We invented them because we got tired of having to fix all those holes left behind from those “other” boat drink holders when they broke after a short time. Or those really expensive lazy suction cup holders that just end up laying on the bottom of your boat after a couple days. Well, we were tired of that endless cycle of drillin' and fillin', so we invented holders that clamp around any of your boat's horizontal, angled, and vertical boat pipes, and best of all NO MORE HOLES!!! . 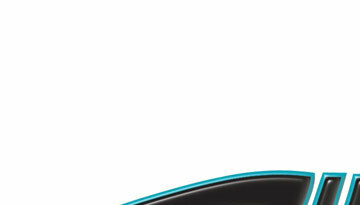 Our vertical clamp-ons rotate 360 degrees around your boat pipes, with no damage to the pipe they are mounted on. All of Cuda's Customs holders can take a lot of bouncing, bucking, and pounding but still will not move on the pipe they are clamped around. Clamp our holders around your boat’s T tops, towers, hard tops, leaning posts, poling platforms, air boat rudder sticks, on surf fishing sand spikes, bicycle goose necks, wheel chairs, umbrellas, or any other vertical or horizontal pipe, tube, or shaft you can find. The applications are endless! So now that you know a little about us go ahead and take a look around we know you will love our products. Tight Lines and Safe and Happy Boating Y’all!.